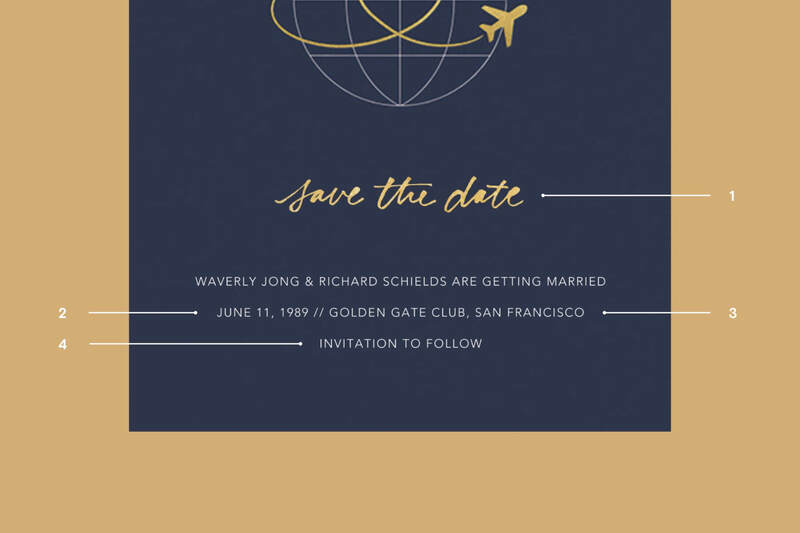 Would you believe us if we told you that save the dates were one of the more contemporary pieces of wedding stationery we made? Go ahead: ask your parents. There’s a real chance that they didn’t use them and didn’t have friends that used them, either. While you’ll find earlier ones, they’re a mostly 21st century phenomenon: the era of the destination wedding and of generational migration away from hometowns. Accordingly, we’re all learning the why’s and how’s of them together. We think they’re a courteous gesture and a brilliant way to start your ceremony planning with a bit of personal style. The rule of thumb is that save the dates go out four to six months before your ceremony. Add a month or two if you’re having a destination wedding. Especially send them if your wedding will be over a holiday weekend or otherwise require difficult travel. This timeline might seem unnecessarily conservative, but keep in mind that you don’t have to have your venue finalized yet: just the date and the general location. 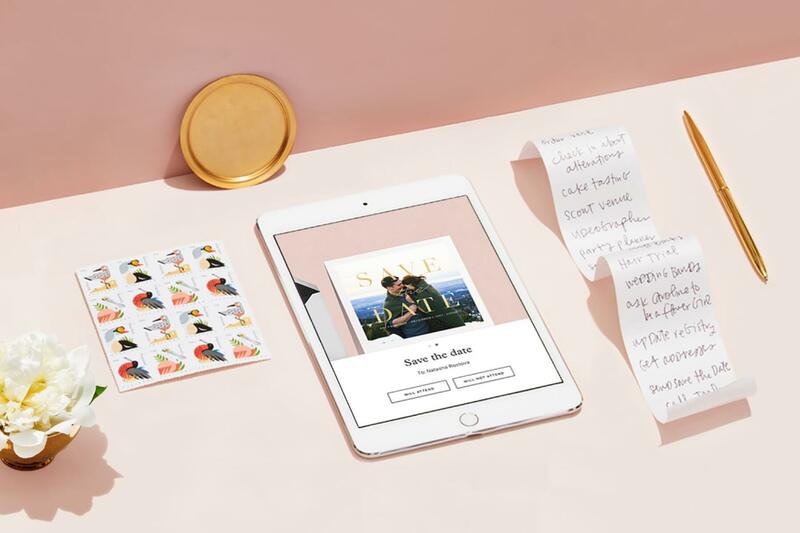 Since you’re sending online, you can give yourself a little wiggle room—the Postal Service won’t delay your delivery, so you can be sure your guests won’t be caught unawares. Simple, right? 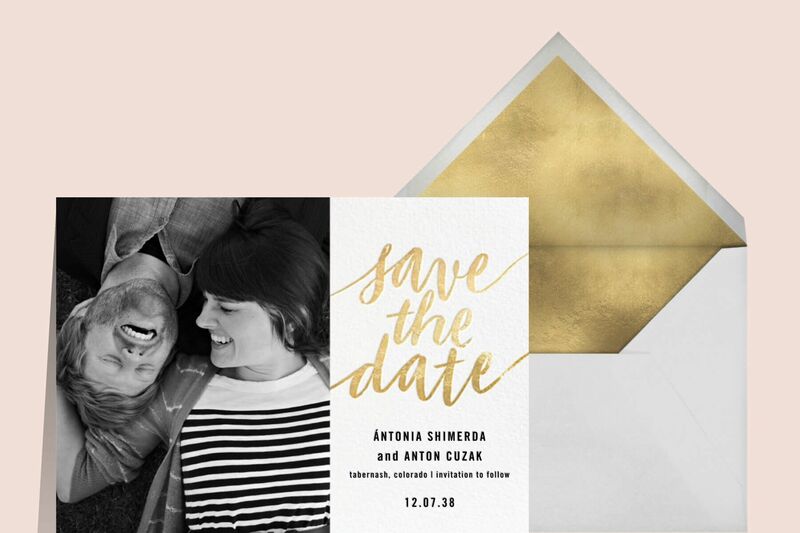 Equally simple: finding a save the date and coordinating wedding invitation that matches your ceremony’s style.